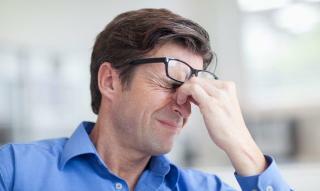 Headaches can be a pain, especially when they cause pain and pressure behind your eyes. While some headaches and pain behind the eyes can be due to a common symptom, other causes are much more serious. It’s important to determine the severity and location of the headache and eye pain in order to help your medical professional achieve the right treatment plan. In order to determine if the pain behind your eye is caused by cluster headaches or a sinus infection, we recommend a visit to FastMed. It is important to determine the cause of your symptoms before you begin treatment to rule out a more serious issue. From there, your FastMed medical professional will likely recommend a course of treatment or prescribe you medication to help relieve the pressure and pain. At FastMed, we know that sinus pressure and pain don’t always occur during doctor’s office hours, and it often isn’t serious enough to require a trip to the emergency room. That is why we are open 7 days a week, 365 days of the year to provide you with the best medical treatment possible.